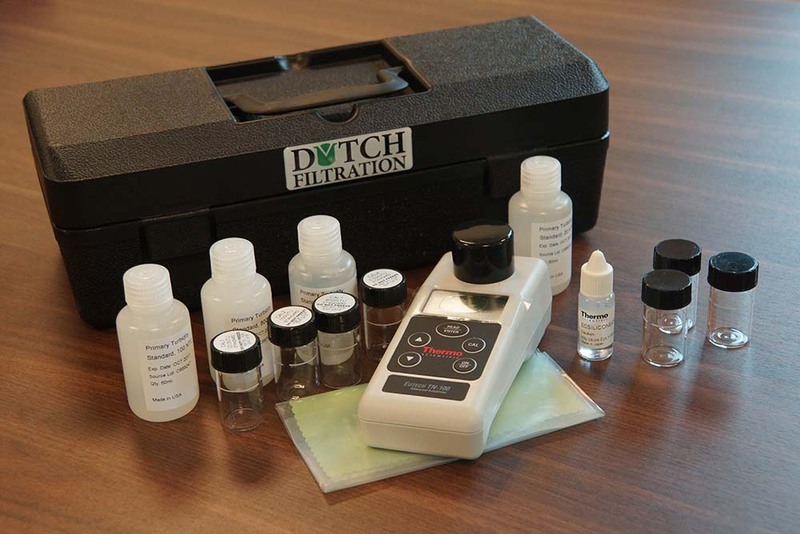 Dutch Filtration supplies turbidity meter kits especially for oilfield use. Our NTU meters are supplied in a robust transport case complete with calibration fluids and bottles. The NTU meter measures quick and accurate the NTU of all (completion) fluids filtered and unfiltered from seawater to bromides and from cesium formate to Potassium Chlorides in the range from 0 to 1000 NTU. IP67 Waterproof and Dustproof – Cleaning and maintenance is simple. It floats!